This project has come to an end, and after finishing their trips, the Donkey and the Mule are now both back in Australia. The blog lives on though, so you can still read all about the trip and check out the amazing photo's here too. Ride for Cambodia is a scooter trip across Cambodia, open to anyone with a sense of adventure who can get themselves to the starting line. It's a 2 week tour starting on the 20th of January 2013, no entry fee and no fixed plans! All the details are on the website link above. Hope to see you there! 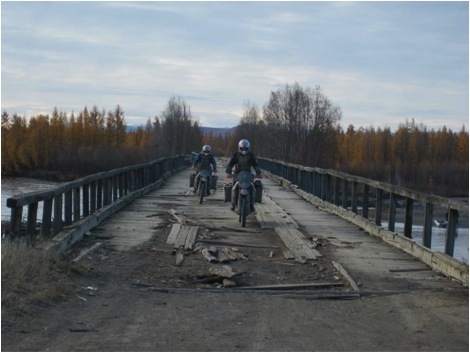 "We have Made it to Magadan. 7 Months, 45,000km, 27 countries. Starting in February 2010 from Cape Town ride 2 Motorcycles up the west coast of Africa and across the Sahara. From there, head east across the Suez into the Middle East, Turkey and the Caucuses. Some Fellow travellers travelling by 4WD through Mongolia have posted a Blog that contains their account of meeting the Donkey and the Mule. Their blog contains many photos and priceless video footage of Paul, Dean and Barton.